In Suicide Prevention, It's Method, Not Madness The urge to kill oneself is so fleeting, that any barrier could keep a would-be leaper on the ledge. That knowledge could save lives, says writer Scott Anderson. The rate of suicide in America is 11 victims per 100,000 people. That's almost exactly the same as it was in 1965. In spite of the rise of anti-depressant drugs, crisis hotline centers, and better treatment of mental illness, we still haven't gotten much closer to understanding or preventing suicide. The reason for that might be that prevention focuses more on the study of illness than it does on the actual ways people attempt to kill themselves, says Scott Anderson, the author of a New York Times Magazine article, "The Urge to End It All." In effect, it's the method, not the madness. Anderson says that suicide is an overwhelmingly impulsive act. He cites a study of survivors that said only 13 percent reported thinking about committing suicide for eight hours or longer; 70 percent said they thought about it for less than an hour; and a whopping 24 percent said the idea had occurred to them less than five minutes before their attempt. If that's true, then suicide is highly opportunistic, and Anderson suggests that reducing the opportunities would reduce the incidence. He says that research and anecdotal evidence appear to bear this out. For example, he notes in his magazine piece that states in which gun ownership are highest have the highest rates of suicide by gun; in fact, the higher rates of gun ownership closely track the higher rates of gun suicides by state. Yet suicide rates by other means remain roughly similar. Anderson points to another example where simply making a change in people's access to instruments of suicide dramatically lowered the suicide rate. In England, death by asphyxiation from breathing oven fumes had accounted for roughly half of all suicides up until the 1970s, when Britain began converting ovens from coal gas, which contains lots of carbon monoxide, to natural gas, which has almost none. During that time, suicides plummeted roughly 30 percent — and the numbers haven't changed since. Anderson discovered that the personal stories of people who had attempted suicide appeared to support the statistical data, in sometimes very surprising ways. 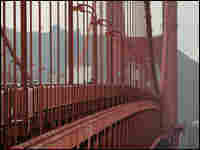 He cited one person who had picked out a place to jump off San Francisco's Golden Gate Bridge, but he never made it. His location meant that he would have had to cross six lanes of traffic, and he was afraid of getting hit by a car.